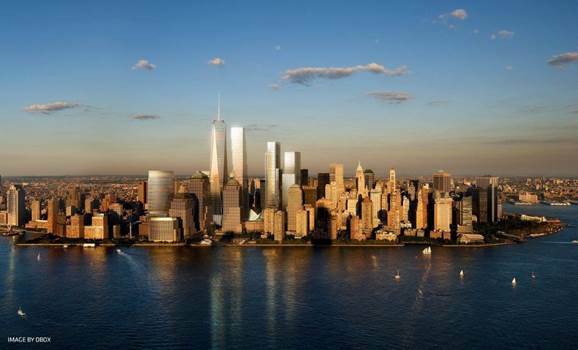 The developer of New York’s Two World Trade Center tower, Silverstein Properties, is uncertain whether it will retain Bjarke Ingels Group for the project or go with original architect Foster + Partners, reports Dezeen today. Larry Silverstein, the company’s chairman, said it is learning toward Danish firm BIG, but nothing has been decided. 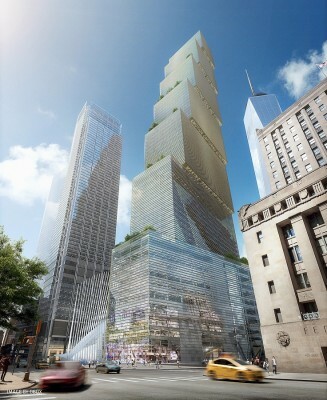 Rupert Murdoch has dropped his plans to relocate 21st Century Fox and News Corp. to 2 World Trade Center, according to capitalnewyork.com. 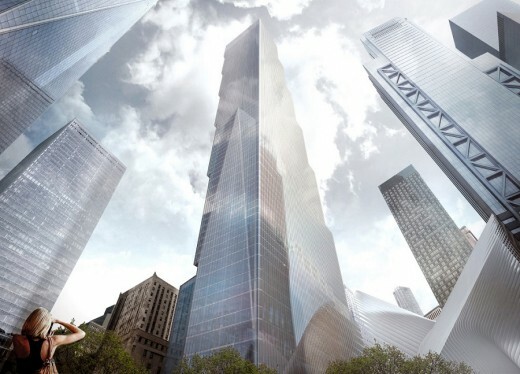 In a statement issued Friday afternoon, World Trade Center developer Larry Silverstein declared himself “disappointed” by the news. 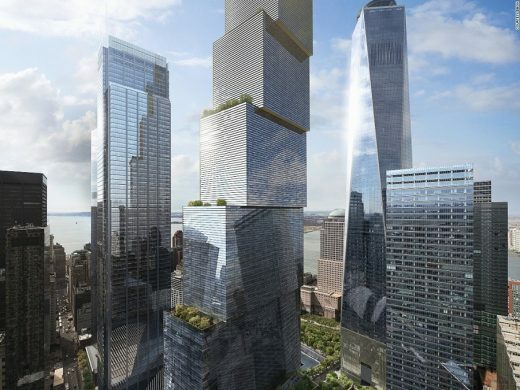 In June, the two media companies signed a letter of intent with Silverstein to occupy 1.5 million square feet for 30 years at a 2 World Trade Center designed by architect Bjarke Ingels. Murdoch’s sons, James Murdoch, the CEO of 21st Century Fox, and Lachlan Murdoch, who co-chairs both companies, sent a memo to employees explaining the decision to stay at 1211 and 1185 Avenue of the Americas. 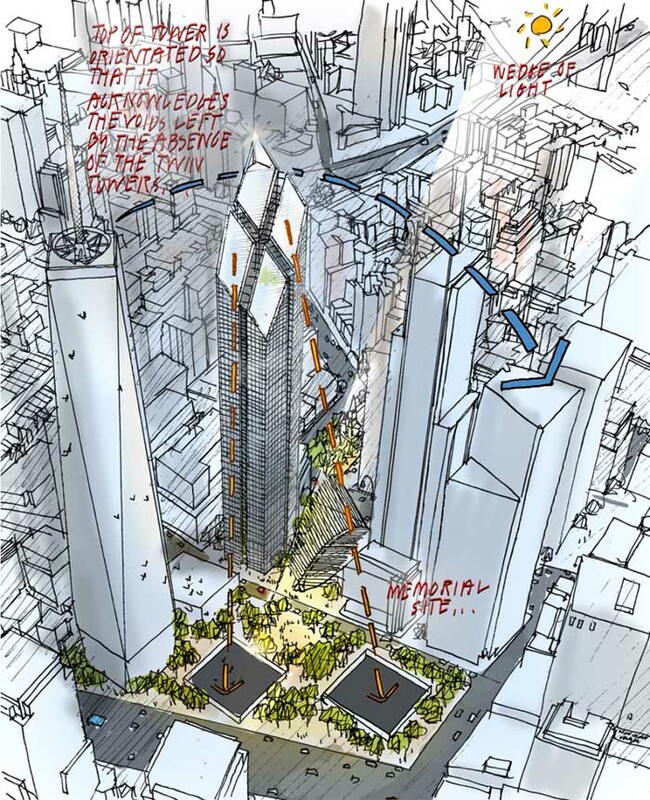 June 10th, 2015 – Located at 200 Greenwich Street and bounded by Church Street to the east, Vesey Street to the north and Fulton Street to the south, the tower will rise to 1,340 feet, respectfully framing the 9/11 Memorial Park alongside One WTC, 3 WTC and 4 WTC. The 80+ story building is developed by Silverstein Properties and will serve as the new headquarters for 21st Century Fox and News Corp, who will occupy the lower half of the tower, housing their subsidiary companies and more than 5,000 people under one roof. 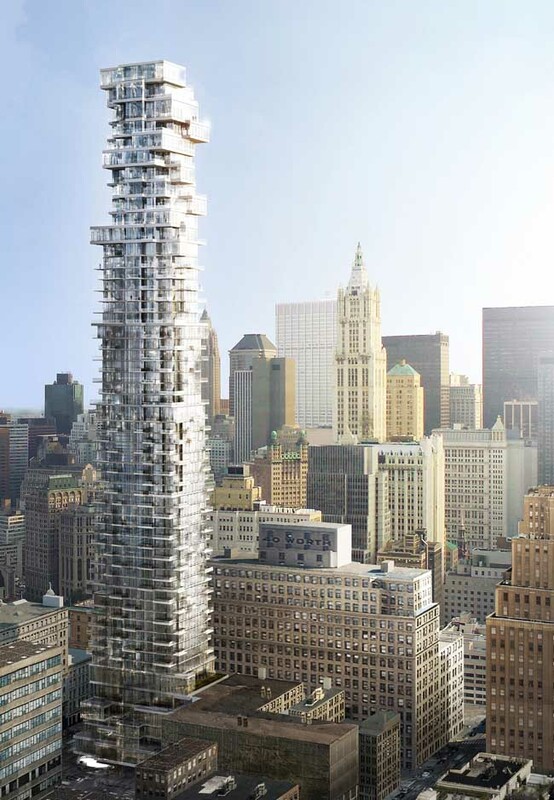 “Bjarke Ingels is one of the most innovative and exciting architects in the world today. 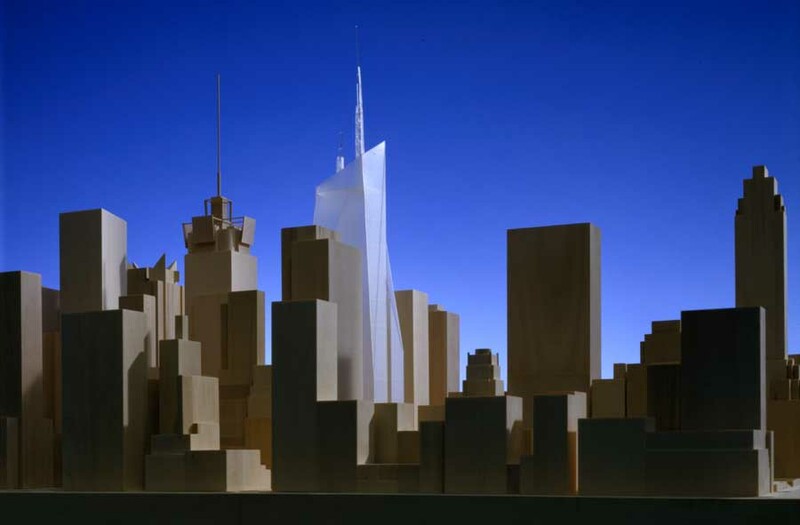 His conceptual design for 2 WTC fits perfectly into the World Trade Center site, as part of Daniel Libeskind’s Master Plan, and alongside the outstanding work of David Childs, Richard Rogers, Fumihiko Maki and Santiago Calatrava. While we have a lot of work ahead of us, I am thrilled to partner with 21st Century Fox, News Corp and Bjarke Ingels Group in creating a new architectural icon on what will be Downtown’s fully restored skyline,” Larry A. Silverstein, Chairman, Silverstein Properties. 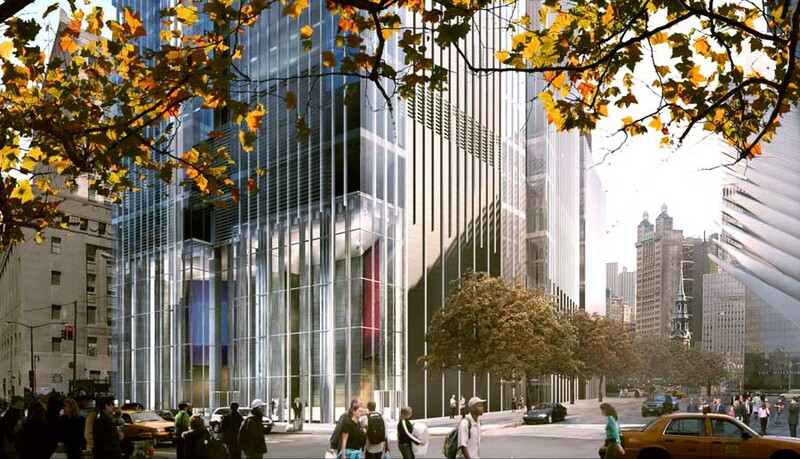 21st Century Fox and News Corp’s new headquarters will occupy the lower half of the tower, while Silverstein Properties will lease the upper half of the tower to other commercial tenants. 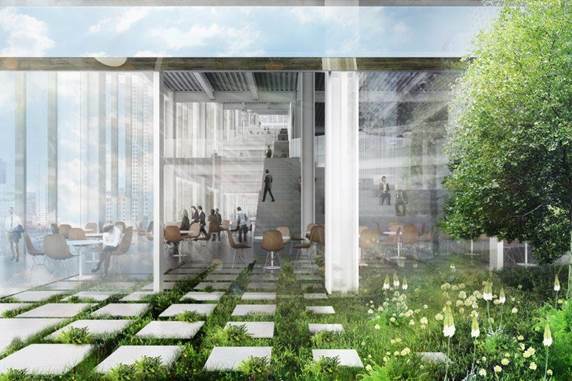 The new building will provide the physical environment for collaboration and idea sharing through the internal mix of open workplaces, amenities and informal meeting spaces. Large stairwells between the floors form cascading double-height communal spaces throughout the headquarters. These continuous spaces enhance connectivity between different departments and amenities, which may include basketball courts, a running track, a cafeteria and screening rooms. The amenity floors are located so that they feed directly out onto the roof top parks. Silverstein Properties, Inc. (SPI) is a privately held, full-service real estate development, investment and management firm based in New York. Founded in 1957 by Chairman Larry Silverstein, the company develops and acquires office, residential, hotel and retail properties. SPI has developed, owned and managed more than 35 million square feet of commercial, residential and retail space, including 7 World Trade Center, the first LEED-certified office tower in New York City, which opened in 2006 and 4 World Trade Center which opened in November 2013. 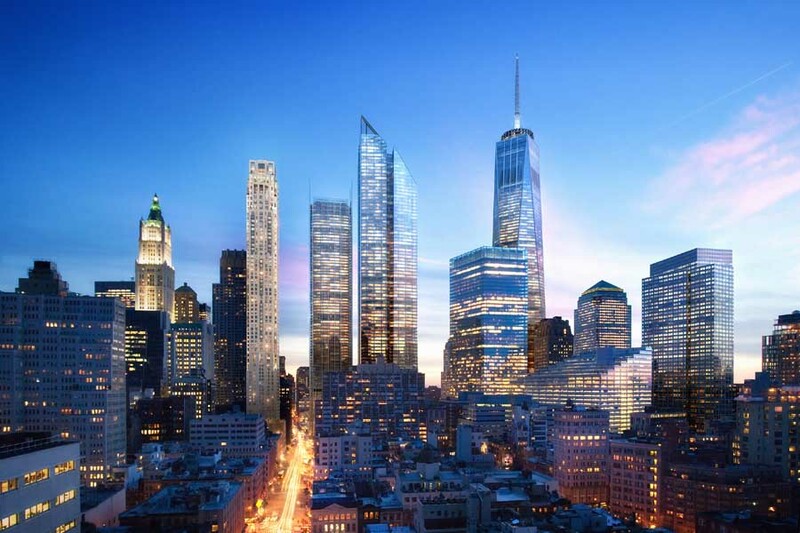 Currently, the firm has $10 billion of development underway: Four Seasons Downtown New York Hotel and Private Luxury Residences, One West End and 2 and 3 World Trade Center. In addition, SPI is focused on joint ventures for development and acquisitions in Europe, Asia and Israel. The company has been recognized as one of the “Best Places to Work in New York City” by Crain’s New York Business for the past seven years. 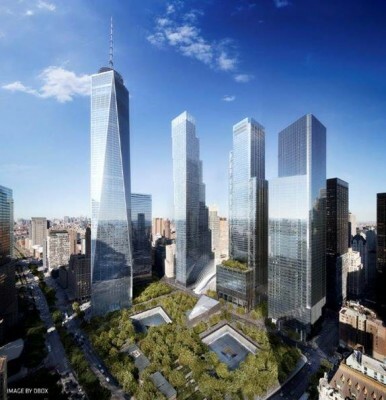 For more information, please visit www.wtc.com. 2 World Trade Center in New York City, a BIG design, Squint/Opera production from BIG on Vimeo. 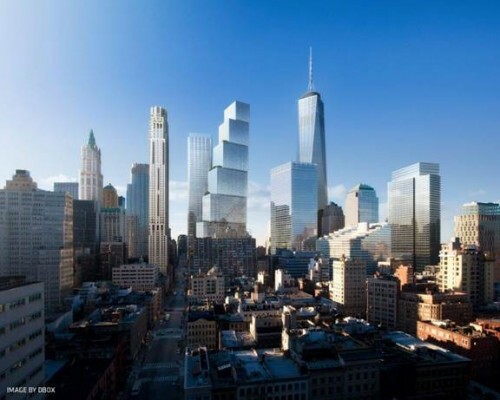 200 Greenwich Street / 2 WTC is the capstone in the redevelopment of the World Trade Center and the final component of the revitalization of Lower Manhattan. The 80-plus story building is developed by Silverstein Properties and will serve as the new headquarters for 21st Century Fox and News Corp. The tower will rise to 1,340 feet, respectfully framing the 9/11 Memorial Park alongside One WTC, 3 WTC and 4 WTC. 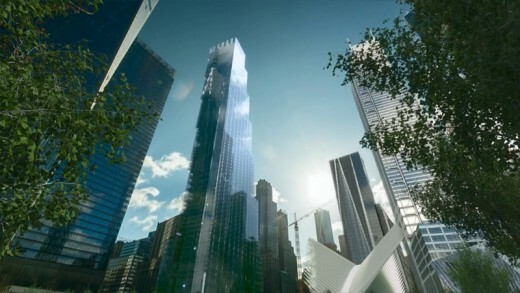 200 Greenwich Street New York – background on the 2 WTC tower in New York City.